Some switches might as well be marked ? Take a spin through Porsche's Web site if you're off to buy a 911. The options list has hundreds of selections, and the site's configurator will help you narrow down the possibilities. You'll be dazzled by the 2011 Porsche 911's unending driving joy, and maybe stunned by its passenger comfort and even its fuel economy. It's the Alfred Hitchcock of sportscars. Cast it in silhouette, and the Porsche 911 still stands out as an instantly recognizable shape--albeit, one that's a lot more confidence-inspiring than frightening. The 911 has never been as good as it is today. There's a power level, a top speed, a body style and a level of luxury for any driver with at least $75,000 in the budget. You'll spend twice that for the Turbo, and more for the very limited editions and the race cars among the street-friendlier 911s, but amazing acceleration, grip and maybe the best steering of any car, period, are the Porsche's stock and trade. From the bottom up. It's all but a two-seater, and it hasn't been rated for safety scores beyond years of Autobahn lessons learned. And even with its limited utility, the 911 dazzles. The seats are good seats, not stripped-down perches. The carpet's plush, the leather rich--and the headroom soars, even if the luggage room is pinched down to a weekend bag's worth under the front hood, and maybe a couple more in the back "seats." Porsche tempts with a choice of turbo and nonturbo flat-six engines; dual-clutch and manual transmissions; and rear- or all-wheel drive. Some days, we'd opt for a Cabriolet with the PDK; other times, a Turbo coupe with the six-speed manual is the only thing that will do. No matter what flavor, it's a strong one. It's the car the XKR, the ZR1 and the R8 V-10 might be one day, when they grow up and get some patina. History's never been kinder to the Porsche 911's iconic teardrop silhouette; maybe it'll forgive the button-rich interior. With more than 40 years behind its iconic silhouette, the Porsche 911 shows no sign of fading beauty. It simply rolls on, like a Mustang, with a confidence that comes from owning one of the few instantly recognizable shapes on the road. All 911s are squat little teardrops, with front fenders that frame a narrow view of the road ahead. Turbos and look-alikes are a little wider, and the new Speedster model has some unusual kit-looking pieces that don't complement the timeless fenders too well. Under all those possible appliques, it's still a 911 at its core--and a time traveler from 1965 would still recognize it right out of the wormhole. The 911's interior might strike you as busy and confusing, for good reason. It's still as stark as vintage 911s, and the ignition still sits to the left of the steering wheel, where no one else puts it. It has adopted the calling card of the circa-2010 automobile--the LCD screen--and that piece is flanked by dozens of small buttons of its own, which aren't like the dozens of buttons and switches you find in the most interesting places in the 911. And then there's the craftsman-quality trim: Valrhona chocolate-brown leather trim that would shame an Audi is a favorite. Discerning between all the differently shaped ancillary switches can be distracting, but when it comes to priorities, the 911 gets them right. The tachometer is the centerpiece of the dash, flanked by other big, clear gauges, but clearly the star. The Porsche 911 gives up little for its stellar performance-not fuel economy, not even decent ride quality. Every Porsche 911 fulfills its time-honored promise of exhilarating performance. Whether it does it in 5 seconds or a little more than 3 seconds is between you and your accountant. The flat six engine is the foundation of the 911. 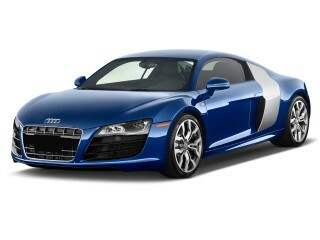 In 3.6-liter form, it hammers away with a muscular 345 horsepower resonating right behind the driver's seat. 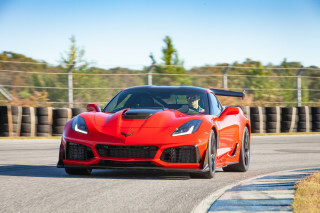 With the obedient, somewhat stiff-shifting six-speed manual, it'll hit 60 mph in 4.7 seconds and drills through the atmosphere until it hits 180 mph. Porsche's dual-clutch, seven-speed "PDK" gearbox makes it even quicker, and better. The PDK nests a pair of transmissions that can execute gear changes more quickly than a conventional automatic; it's faster than any driver on earth, and never misses a shift. And when it goes out of "Auto" mode and into Sport, Sport Plus, and Manual modes, it truly gives you as much control over the gears as you need, without a clutch pedal to juggle. 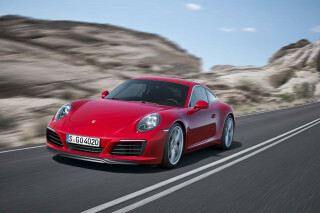 The PDK hones 0.2 second off the 0-60 mph times of almost any 911, but does drop top speed to 178 mph in the base coupe. Changing the body style tends to increase acceleration times, while the Sport Chrono package overcompensates in return. Sport Chrono tweaks fuel delivery and shift points in the PDK-equipped 911, and drops acceleration times another 0.2 second, to 4.3 seconds. The Cabriolet body style, though, can cost you 0.2 second of acceleration due to the extra weight of the body reinforcements; the glass-roofed Targa version adds 0.3 second to the stock coupe. Porsche's well-managed all-wheel-drive system tacks on another 0.1 second to the 60-mph run. Add on all those features, and still, the chunkiest 911 Targa 4 will blow by 60 mph in about 5.0 seconds. Stepping up into something a little larger in displacement changes the numbers more. The "S" model gets bored out 3.8 liters and kicks in an extra 40 hp. Its 0-60 mph times falls to 4.5 seconds, with the usual changes for the PDK, the all-wheel-drive setup, the Cabriolet body, and Sport Chrono. Outfitted with a manual transmission, the 911S Coupe will top out at 188 mph. A new GTS edition racks up 408 horsepower with a higher 7300-rpm peak than the S's 385 hp. Torque's identical at 310 pound-feet. The GTS pounces on the 60-mph mark in as many as 4.8 seconds (a hefty Cabriolet with a manual gearbox, and no Sport Chrono package) or as little as 4.2 seconds (a PDK Coupe with Sport Chrono, and activated Launch Control mode). The top speed is 190 mph. There's also a 911 Speedster with the same general specs, but it's only available with the PDK. At the top of the lofty 911 lineup is the Turbo. It takes the 911 S engine, straps on a pair of turbochargers, and dials up 500 hp and 480 pound-feet of torque, with 516 lb-ft on tap for "overboost" that allows the extra torque to smooth out gearchanges. Here, 60 mph arrives in a blissfully short 3.2 seconds when the PDK is in force, or a couple of tenths later with the manual. A top speed of 194 mph is there if you can hang on--and there's even a Turbo S for the 2011 model year that cuts another tenth of a second off the 0-60 mph time and adds 1 mph to the top end. To drive a 911 over the long haul, you need to brace for what could seem like a tough ride. It's not at all pliant--and that's the price to pay for its relatively compact size and those massive tires. The refund comes in the form of achingly perfect steering and in stratospheric grip. Every 911, no matter what suffix it carries, has brilliantly responsive controls and a neural, connected feel. The same holds true in cars with active suspension dampers (computer-controlled shocks that are standard on S and Turbo versions, and an option on other 911s). Sport Chrono doesn't aggravate the feel, like some other electronic controls on other sportscars can--it just amps up the drivetrain's intensity. Braking is another 911 performance hallmark. Astounding grip comes with massive 18-, 19-, or 20-inch wheels, and a torque-vectoring option will clamp down on an inside rotor to quicken turn-in. Apply the brakes and you'll think you've pulled a ripcord on a parachute--especially with the carbon-ceramic brakes. It's almost wasted on public roads, where there's no practical way to approach the 911's limits. Our review doesn't cover racing editions of the 911, the GT2 RS, the GT3 and the GT3 RS. 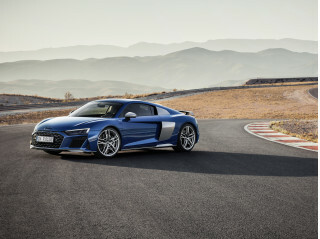 Both have distinct powertrains and drive systems adapted for racing, down to a lithium-ion battery for track starts. Snug but great-fitting seats are standard on every 911; everyone else and everything else needs to think small. Porsche's 911 is big enough to take care of the needs of even tall drivers, but you'll want to spend a bit more for better chairs on the non-racing models. In base trim, the 911 has a front pair of manual-slide, power-rake seats with the typical Germanic firmness. If it were our checkbook, we'd write a few more numbers for the available 12-way power seats. They're more supportive to your lower back, they have memory positions, and they can come with ventilation to keep your back cool on long drives. They're grippier than the base seats, but not as tiring as the super-firm sport seats. You might want to stop shy of the seats stuffed with adaptive cushions--they inflate or deflate internal air chambers as cornering forces build. It sounds like an advantage, but in practice it feels over the top. There's no questioning the front head and leg room in the 911, even in coupes with a sunroof. This Porsche's gotten lower over the years but front-seat space is still ample. In back, it's subject to the shape of its long, lovingly sloped tail and to the rear-mounted engine. The backseats are barely big enough for children--they're really just token gestures better used for luggage, since the cargo space under the hood is good only for about a weekend bag, max. The 911 Cabriolet remains a favorite of TCC staffers. It has an impressively snug top and comes out of the factory with a heated glass rear window. A one-button process lowers the roof in seconds, while keeping the 911 profile almost intact. The 911 Targa is a compromise: a panoramic glass roof opens the cabin to sunlight, and a big part of its can slide back to draw in fresh air, though the roof structure remains intact. No matter which body style, the 911 has a tightly constructed feel, and fit and finish top our rankings, with a few exceptions-like the flimsy flip-out cup holders hidden behind poorly fitted plastic trim in front. The 2011 Porsche 911 doesn't have any crash-test scores to its credit, but autobahn safety and lots of protective equipment earn a good safety score. Crash-test standards are changing for the 2011 model year, but they're not likely to affect our opinion of the Porsche 911's safety. Both the National Highway Traffic Safety Administration (NHTSA) and the Insurance Institute for Highway Safety (IIHS) have changed the way they rate cars after they crash-test them. For the 2011 model year, many new cars are missing their final safety ratings as the agencies figure out how old scores interpolate into new scores. The 911 isn't the kind of car that typically gets crash-tested, in any case, because of its niche appeal and its rather large pricetag. Neither agency has tested the 911 -- but we're applying a high provisional rating because of Porsche's strong reputation for safety, and because of its long list of standard safety equipment. Dual front, side, and curtain airbags are standard on the 2011 911; so is Porsche's excellent PSM stability control system, which can be tailored to allow more wheelspin for sporty driving. There's also anti-lock braking, and brake assists to boost the driver's inputs in emergency stopping, and to keep the brakes dry for optimal strength. The 911 lacks some newfangled tech like lane-departure warning systems, backup cameras, and active cruise control. but the 911's available all-wheel drive get some credit, though it's not the kind of all-weather car you'd risk in heavy snow, not without Finnish-grade snow tires. Visibility is acceptable on most 911 coupes and Cabrios, but a rearview camera would be a useful addition. The low seats and the out-of-sight rear corners make backing up a dicey task at times. Rear parking sensors are available, to help out with audible warnings. The 2011 Porsche 911 is where incredible performance meets up with incredible options--and incredible prices. There's a wide span of choices in the 911 lineup--so wide, it's easy to double the base price when you've ticked all the options for powertrains, body styles, and interior features. Nearly every 911, save for the race-ready GT2 and GT3 editions, come with the luxury and entertainment features expected in a vehicle priced higher than $75,000. There's automatic climate control; cruise control; power windows, locks, and mirrors; a tilting/telescoping steering wheel; Bluetooth connectivity; and an AM/FM/CD/DVD player. A universal audio interface that connects portable music players is new for 2011. From there, you'll need to hold your breath and dive into the deep end of Porsche's have-it-your-way features list. You can opt for a DVD changer; an iPod interface; Bose surround sound; a voice-activated navigation system with a 40GB hard drive; adaptive headlights; ventilated seats; and a multifunction steering wheel. That's before you get to the array of choices for interior trim, colors and upholstery materials. Turbo models get their own interior treatment, with a leather dash and a sueded headliner. The same philosophy applies to performance features. Active suspension is available on most versions, as is Porsche's Sport Chrono package, which lifts performance; the PDK dual-clutch transmission is an option, as are carbon-ceramic brakes. You can specift 19-inch wheels; sport paddle shifters; the PTV torque-vectoring system; and stylish RS-look wheels with center locks. Porsche bundles some of these options into packages to make ordering a little easier. The Comfort package offers power seats, heated front seats, and automatically dimming mirrors; an Infotainment package includes the Bose audio system, XM satellite radio and the navigation system. The 2011 Porsche 911 has a gas-mileage rating that's better than some mid-size sedans. Potential shoppers likely aren't looking Porsche's way for great fuel economy--but they get it anyway. For what it represents in raw performance, the 2011 Porsche 911 lineup has amazing fuel economy. The base version, a 911 Carrera with rear-wheel drive, a hard coupe roof and the seven-speed dual-clutch "PDK" automatic, earns an EPA rating of 19 miles per gallon city, 27 miles per gallon highway. As it gets more powerful and more heavy, the 911 doesn't turn into a gas-swilling oil addict, either. 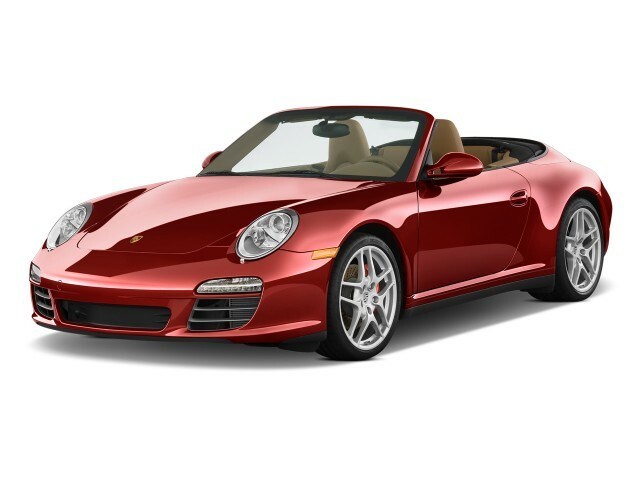 The 911 Carrera Turbo Cabriolet is rated at 16/24 mpg--stunning, for a car with a 0-60 mph time of about 4.0 seconds. Porsche hasn't said if it will adapt any of its hybrid technology to the 911 lineup, but a new car is due for the 2013 model year, and it's expected to incorporate some more fuel-saving measures--though nothing like the full hybrid powertrain now offered on the Cayenne SUV, or the diesel that may also be fitted to the big ute.